IN one of the more unforgettable contemporary recollections of Mohammad Ali Jinnah, Beverely Nichols in Verdict on India described the lanky and stylishly dressed barrister as the “most important man in Asia”. Looking every bit like a gentleman of Spain, of the old diplomatic school, the monocle-wearing leader of the All-India Muslim League held a pivotal place in India’s future. “If Gandhi goes, there is Nehru, Rajagopalachari, Patel and a dozen others. But if Jinnah goes, who is there?” Without the Quaid-i-Azam to steer the course, the Muslim League was a divisive and potentially explosive force that “might run completely off the rails, and charge through India with fire and slaughter”; it might even “start another war”. As long as Jinnah was around, nothing disastrous was likely to happen and so, Nichols quipped, “a great deal hangs on the grey silk cord of that monocle”. If the British journalist overstated Jinnah’s importance, he had put his finger on an essential piece of the sub-continental political puzzle on the eve of British decolonisation in India. Jinnah was a crucial link between the Congress and the Muslim League, which, if broken, could catapult India into disaster. Drawing an analogy between himself and the first man to appear on the street with an umbrella, only to be laughed and scorned at by the crowd that had never seen an umbrella before, he said self-assuredly, “You may laugh at me”, but time will soon come when “you will not only understand what the Umbrella is but … use it to the advantage of everyone of you”. Jinnah’s prediction that posterity would come to look kindly on the umbrella he had unfurled in the form of his demand for Pakistan remains unrealised. Confusing the end result with what he had been after all along, his admirers and detractors alike hold him responsible for dismembering the unity of India. But, then, the Pakistan that emerged in 1947 was a mere shadow of what he had wanted. Let down by his own followers, outmanoeuvred by the Congress and squeezed by Britain’s last viceroy, Jinnah was made to accept a settlement he had rejected in 1944 and 1946. His early death in September 1948 deprived Pakistan of a much-needed steadying hand at the helm during an uncertain and perilous time. 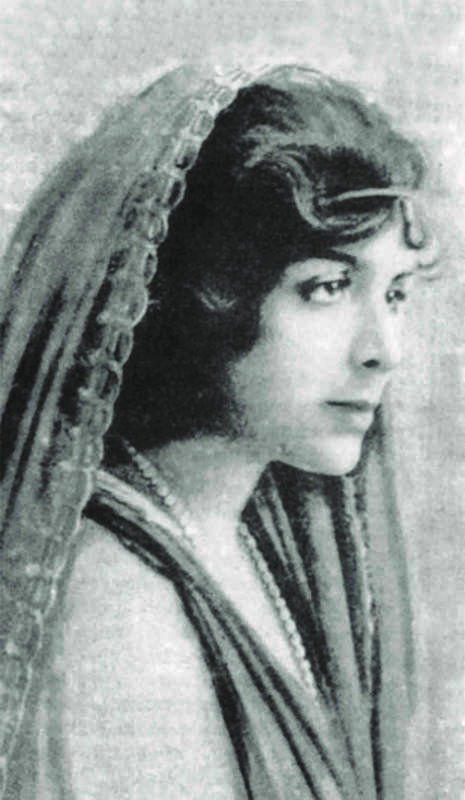 With no one of Jinnah’s stature and constitutional acumen around to read the riot act, constitutional propriety and strict adherence to the rule of law were early casualties of the withering struggle between the newly-created centre and the provinces as well as the main institutions of the state. Repeated suspensions of the democratic process by military regimes have ensured that even after seven decades of independence, Pakistanis are bitterly disagreed on the principles and practices of constitutional government as well as the sharing of rights and responsibilities between the state and the citizen. So, while there is no denying the centrality of Mohammad Ali Jinnah’s iconographic location in Pakistani national consciousness, there is a gaping chasm between the nationalist icon and the savvy politician. Across the 1947 divide, clashing representations of Jinnah and his politics highlight the fissures in the Indian national imaginary. The unanimous rage that exploded as Indian nationalism, whether of the ‘secular’ or the ‘communal’ variety, in the wake of Jaswant Singh’s book on the Muslim League leader is evidence of Jinnah’s negative standing in the Indian psyche. Left to an adoring following in Pakistan and equally impassioned detractors in India, the clear-headed lawyer who never missed a cue has been reduced to a jumble of contradictions that mostly cancel each other out. Jinnah’s demonisation in the Indian nationalist pantheon as the communal monster who divided mother India contrasts with his positive representation in Pakistan as a revered son of Islam, even an esteemed religious leader (maulana), who strove to safeguard Muslim interests in India. Misleading representations of one of modern South Asia’s leading politicians might not have withstood the test of history if they did not serve the nationalist self-projections of both India and Pakistan. 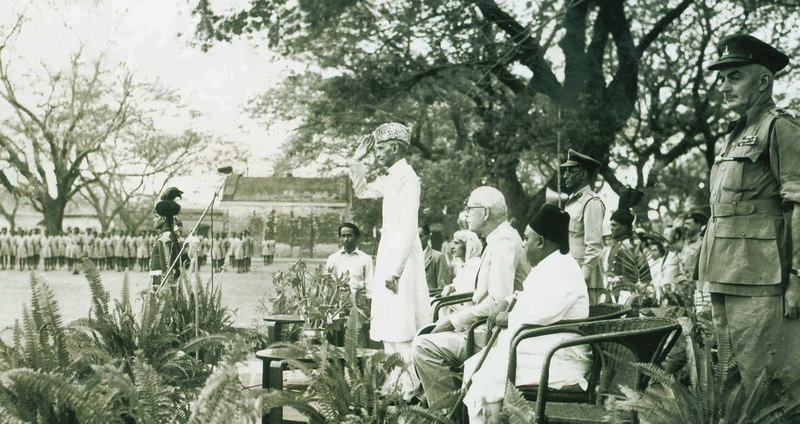 QUAID-I-AZAM Mohammad Ali Jinnah during his last visit to Dhaka, then East Pakistan. It was during this trip that he declared, at a mammoth public gathering on March 21, 1948, “Having failed to prevent the establishment of Pakistan … the enemies of Pakistan have turned their attention to disrupting the state by creating a split among the Muslims of Pakistan… If you want to build up yourself into a nation, for God’s sake give up this provincialism.” | Photo: PID. Nations need heroes and Pakistanis have a right to be proud of their greatest hero. But popular memories too need to be informed by some bare facts and meaningful ideas. Fed on improbable myths and the limitations of the great men’s approach to history, Pakistanis have been constrained from engaging in an informed and open debate on whether their country merits being called Jinnah’s Pakistan. Is Jinnah at all relevant to the current Pakistani predicament? Even the most approximate answer requires training our sights on matters that most concern Pakistanis – rule of law and a balance between state institutions that is conducive to social justice, economic opportunities and peaceful coexistence. Fed on state-sponsored national yarns about the past, Pakistanis are at a loss how to settle matters of national identity and the nature of the state – democratic or authoritarian, secular or Islamic. The rise of Hindu majoritarianism in secular India and seemingly unending convulsions of religious bigotry amid state paralysis, if not compliance, in Islamic Pakistan is causing widespread dismay, confusion and disenchantment among a cross-section of citizens on both sides of the international border. This is why reassessing the legacy of the man, who is universally held responsible for a partition that he had assiduously tried avoiding, is so necessary. But to do so meaningfully, one has to go beyond the simplistic distinction between the secular and the religious on which so many of the national myths of India and Pakistan are based. There is no doubt that after the Muslim League’s election debacle in 1937, Jinnah made a conscious effort to display his Muslim identity. On key public occasions, he donned the sherwani – the traditional Muslim dress – rather than his well-tailored Western suits, and made more of an effort to appear as a mass politician. This was in some contrast to the days when his oratorical powers were restricted to the quiet of council chambers in the central legislature. But the aloofness that characterised his earlier life did not give way to a new-found affinity with the teeming multitude. A champion of mass education as the key to the democratisation and freedom of India, Jinnah lacked the populist touch of a Gandhi. Solitary in disposition, he used the distance between himself and his followers to command esteem and, most importantly, authority. Every bit the politician, Jinnah had a keen sense of timing and spectacle. Making the most of the adulation showered upon him by Muslims, he launched a powerful challenge against the Congress’s claim to speak on behalf of all Indians. However, even while banding with segments of the Muslim ulema for political purposes, he remained to the core a constitutionalist with a distaste for rabble rousers who made cynical use of religion. He distanced himself from the humdrum of theological disputes about divinity, prophecy or ritual. “I know of no religion apart from human activity,” he had written to Gandhi on January 1, 1940, since it “provides a moral basis for all other activities”. Religion for him was meaningless if it did not mean identifying with the whole of mankind and “that I could not do unless I took part in politics”. Jinnah’s expansive humanism is in stark contrast with the shocking disregard for the freedom of religious conscience in the country he created, a result of the political gamesmanship resorted to by authoritarian rulers and self-styled ideologues of Islam in post-colonial Pakistan. In terms of his most deep-seated political values and objectives, Jinnah was remarkably consistent throughout his long and chequered political career. He had begun his journey as a Congressman seeking a share of power for Indians at the all-India centre. Since Muslims were a minority in the limited system of representation in colonial India, he became an ardent champion of minority rights as a necessary step towards a Hindu-Muslim concordat and Congress-League cooperation. The provincial bias in British constitutional reforms after 1919 tested the resilience of a centralist politician with all-India ambitions. As a constitutionalist of rare skill and vision, Jinnah tried reconciling communitarian and provincial interests while holding out an olive branch to the Congress. While his insistence on national status for Indian Muslims became absolute after 1940, the demand for a separate and sovereign state was open to negotiation until the late summer of 1946. Jinnah was acutely aware that almost as many members of the Muslim nation would reside in Hindustan as in the specifically-Muslim homeland. The claim to nationhood was not an inevitable overture to completely separate statehood. An analytical distinction between a division of sovereignty within India and a partition of the provinces enables a precise understanding of the demand for a ‘Pakistan’. On achieving Pakistan, Jinnah was categorical that equal citizenship and an assurance of minority rights would form the basis of the new state. 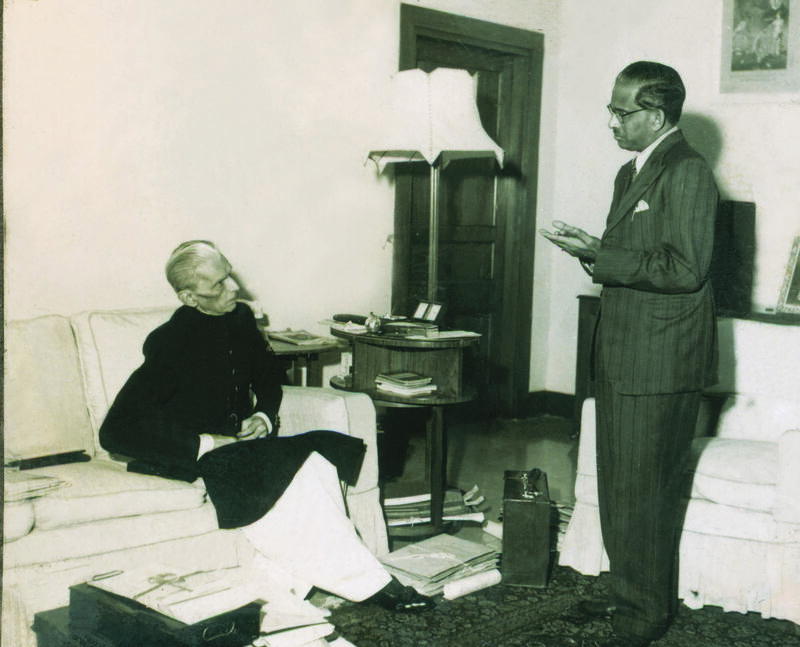 THE Quaid-i-Azam in conversation with Altaf Husain, the first editor of Dawn Karachi, who visited Mr Jinnah to wish him a happy birthday on December 25, 1947. | Photo: PID. The Quaid-i-Azam was checkmated at the end game of the Raj by the votaries of unitary and monolithic sovereignty. Yet his constitutional insights into the imperative of forging a new Indian union once the British relinquished power at the centre resonated well with a long South Asian political tradition of layered and shared sovereignties. The four decades since the end of World War II were the heyday of indivisible sovereignty across the globe. Since the late 1980s there has been a perceptible weakening in the hold of that dogma. Jinnah’s legacy is especially pertinent to the enterprise of rethinking sovereignty in South Asia and beyond in the 21st century. If Pakistan and India can shed the deadweight of the colonial inheritance of non-negotiable sovereignty and hard borders which has been at the root of so many of their animosities, a South Asian union may yet come into being under the capacious cover of Jinnah’s metaphorical umbrella. His expectation that Hindus quite as much as Muslims would one day bless the memory of his name remains unfulfilled. But moves in that directi on have been in evidence more recently. In 1999, the Indian prime minister, Atal Behari Vajpayee, made a point of visiting the venue where the Lahore Resolution of 1940 was adopted by the Muslim League. This was followed in 2005 by Hindu nationalist leader Lal Krishna Advani’s homage to the founding father of Pakistan at his mausoleum in Karachi. The writer is Mary Richardson Professor of History and Director of the Center for South Asian and Indian Ocean Studies at Tufts University, Massachusetts, United States of America.